If you have a pest problem and you are located in or around Barbican we are here to help. 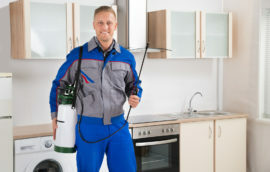 At Pest Exterminators we offer professional and discreet 24 hour pest control Barbican services. 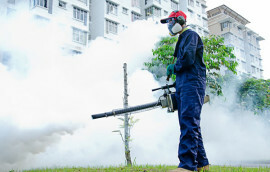 The complete package of pest eradication and control treatments we offer are always specifically designed with the unique needs and requirements of our customers. Our Barbican team have superior knowledge of the local area, meaning we will always respond as quickly as possible if you have a pest infestation emergency. All our customers are entitled to a free site survey, which are always available for both residential and commercial properties that have pest problems. With our Barbican pest management services, we always aim to use the safest approaches as we can. We will be able to advise you on what you can do to keep your pets, children, staff and premises safe while we get to work. Get in touch with Pest Exterminators today if you are living in the Barbican area and require professional pest removal. We have incredibly friendly and knowledgeable customer service agents that are on the other end of the telephone whether its day or night. They are here to help you with advice or arrange for one of our technicians to solve your pest problem. 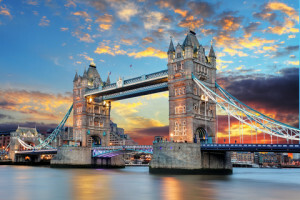 In order to help you comply fully with UK commercial law and avoid costly fees and charges, our business clients tend to invest in one of our pest control contracts in Barbican. These are available for all businesses, regardless of their size. You have the choice of a wide range of different contracts, that all include free emergency call-outs. With each contract, our technicians record the details of each visit they make to your property and this record includes all details regarding the type of infestation you had. They also note the advice and recommendations they offered you and any chemicals, pesticides and treatments used in the process. As is the case in any situation, residential or commercial, a fully-vetted technician will initially visit your business property and conduct a full site survey for free. This will involve a full assessment of the inside and outside of the premises. 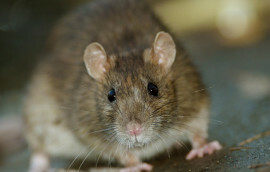 Pest control Barbican contracts are always catered for individually. Therefore our technicians will never jump to conclusions or make decisions without checking out the unique needs and problems your building is facing. Once the survey has been completed, we will then formulate a service agreement that meets your unique needs best. Get in contact with us today to find out more about pest control Barbican for your home or business on 0800 772 3262 at any time 24/7 or by looking at our contact page.